In his last year on the ballot, the Mariner legend and greatest designated hitter of all time gets the Cooperstown call. After 10 years on the ballot — and in his final year of eligibility — Mariner legend and batting savant Edgar Martinez will finally be enshrined in The National Baseball Hall of Fame in Cooperstown, N.Y. After nine years of falling short of showing up on 75 percent of the voting baseball writers’ ballots, a continued groundswell of support helped Martinez earn 85.4 percent this time around. He will be joined in the 2019 class by Yankees closer Mariano Rivera and starting pitchers Roy Halladay and Mike Mussina. Martinez and his peers will officially enter the Hall of Fame during a ceremony in Cooperstown on July 21. Martinez was absolutely undeniable as a hitter. In addition to being a two-time batting champ and seven-time All Star, his career batting line sits at a stellar .312/.418/.515. He ranks 21st all time in on-base percentage, and had more career walks than strikeouts. The popular player value stat WAR (wins above replacement) severely penalizes designated hitters for not playing in the field, yet Martinez still managed to put up 68.3 career WAR, more than the average Hall of Famer. The cases against Marintez were always largely based around him playing DH instead of a defensive position of the majority of his career. The arguments were absurd not only because players like Frank Thomas — who started at DH in 57.4 percent of his games — were already enshrined, but inferior hitters who hurt their teams with their defense were HOFers (see: Rabbit Maranville, a infielder who had 30-plus errors in 12 separate seasons). On top of that, Edgar even won a batting title in 1992 while playing as a third baseman, before injuries made playing the position less feasible. And for heaven’s sake, the award Major League Baseball gives out every season to the best DH is the Edgar Martinez Award. For Mariners fans, Edgar Martinez means more than any numbers can quantify. Not only did Martinez provide the franchise’s signature moment — driving in the game winning run that clinched the 1995 American League Divisional Series (while it’s often referred to as “The Slide,” “The Double” is far more accurate) — but he was the pure Mariner. Between Ken Griffey Jr., Randy Johnson, and Alex Rodriguez, the franchise saw plenty of all-time greats in the 1990s, but Edgar was the constant. When the others left via free agency or trades, Martinez held down the fort. In modern sports, a truly great talent playing his entire career with one team is a total anomaly, one that builds a bond of loyalty between the player and his fan base. Edgar Martinez is more beloved in Seattle than the Mariners franchise itself. And finally, finally our guy is a Hall of Famer. Jaguars kicking strong in 4A KingCo. 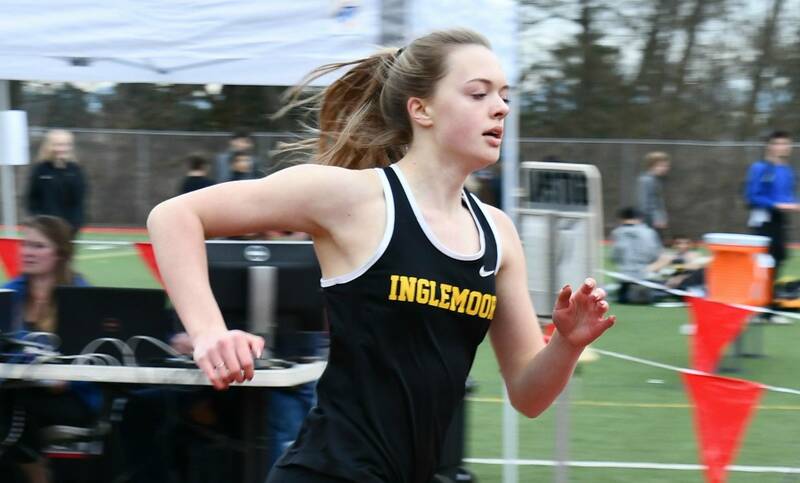 Inglemoor High is working harder than ever.